Take a look at our opening times below! 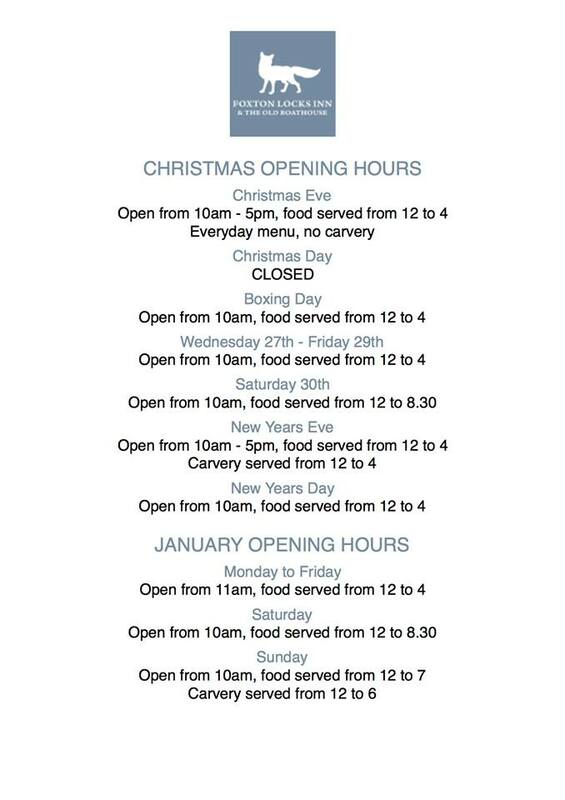 We will be shutting the main pub on Friday 22nd December 2017 from 3pm for a private function, although our Boathouse will still be open serving our Christmas menu until 8.30pm, if you have any queries, please don’t hesitate to get in touch with the team on 0116 279 1515. The whole team wishes you a very Merry Christmas and a Happy New Year!